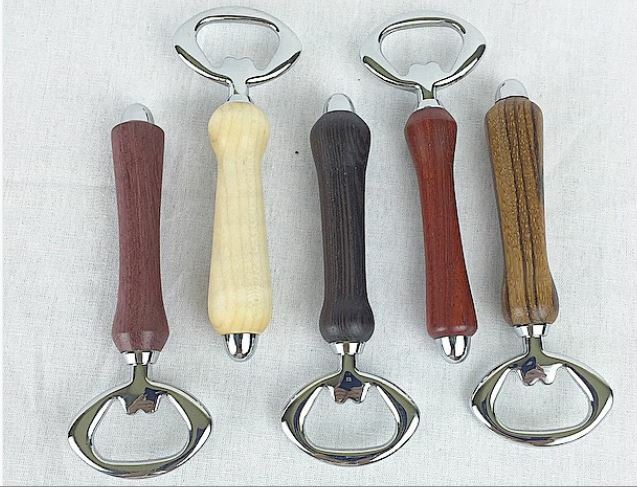 These fun bottle openers are a cool accessory for any kitchen, bar, or barbecue and will be greatly appreciated by any beer lover, or thirsty person holding a bottle with a non-twist off cap. 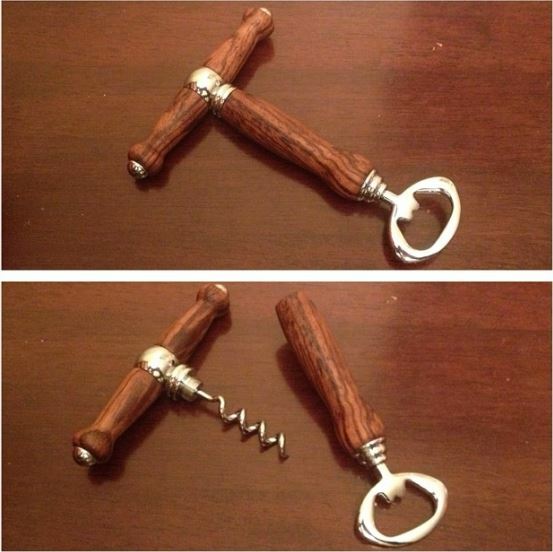 Try our premium version that also includes a built in cork screw! Made to order to your choice of exotic wood.